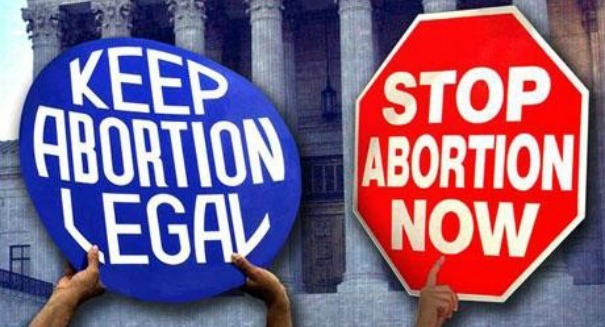 Abortion rights activists say the new laws, which went into effect July 2013, are forcing women to travel long distances. Abortions are plummeting in Texas, with nearly 9,000 fewer abortions in the first full year since new restrictions shut down more than half of abortion clinics in the state. That’s a 14 percent reduction in abortions in 2014 compared to 2013. Abortions rates had been steadily dropping before then, but this sudden drop is far larger, according to a dallasnews.com report. For comparison, abortions had dropped by 12 percent nationwide between 2010 and 2014 — Texas abortions dropped 30 percent over that period. The Texas laws are being challenged in the Supreme Court by activists who argue that the laws are an unconstitutional attempt to curtail a woman’s right to abortion, forcing them to travel huge distances or even out of state to get an abortion. Therefore, they say, it’s not surprising there’s been such a dramatic drop when so many abortion clinics have been forced to close, limiting the options of poor women who can’t afford to travel long distances to get an abortion. Texas had 40 abortion clinics before the new restrictions were put in place — now, it has just 18 ever since former Gov. Rick Perry in July 2013 signed a bill into law that would require doctors who perform abortions to have admitting privileges at a nearby hospital and that abortion clinics have hospital-like surgical facilities — not a requirement for any other comparable procedure. The law also bans an abortion after 20 weeks of pregnancy and changes how doctors can prescribe drugs to induce abortions. Proponents of the law say they put the requirements in place to make the procedure safer, but abortion rights activists argue that it’s a naked attempt to make abortion harder and it places onerous requirements on doctors that are entirely unnecessary.